An asset is any item owned by an enterprise. For example, IT assets can include items such as servers, laptops, and monitors. This section describes how to add an asset in Web Help Desk. The following steps show how to manually add an asset. 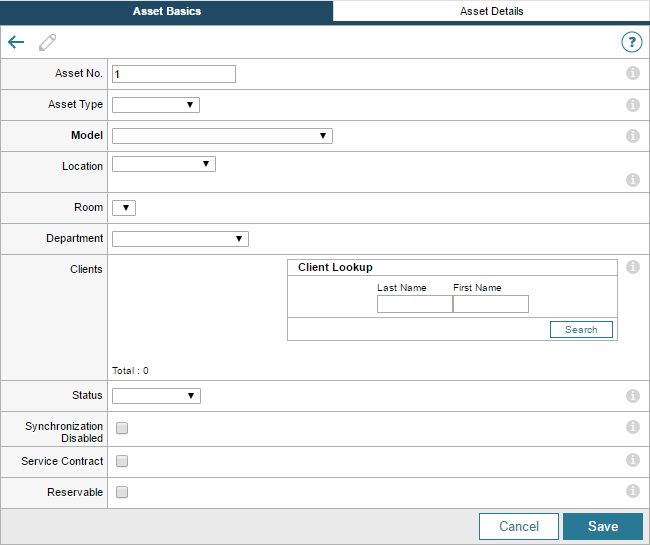 You can also configure asset discovery. On the toolbar, click Assets, and then click New Asset. Complete the following fields as required. Click the tooltips for more information. 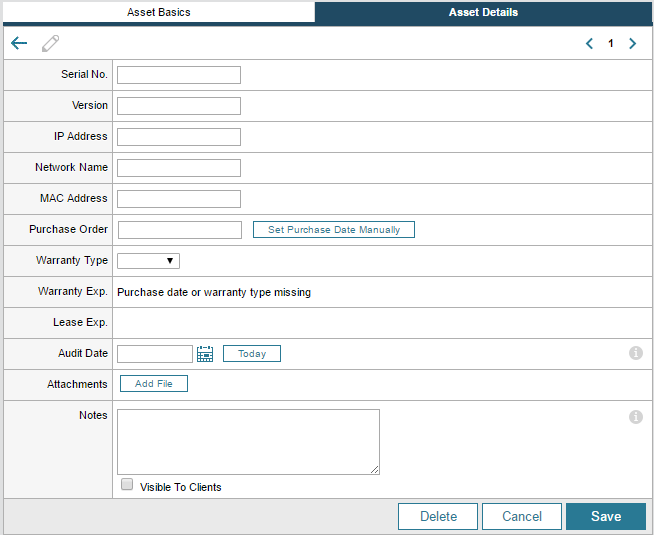 Click Asset Details and complete the following fields as needed.